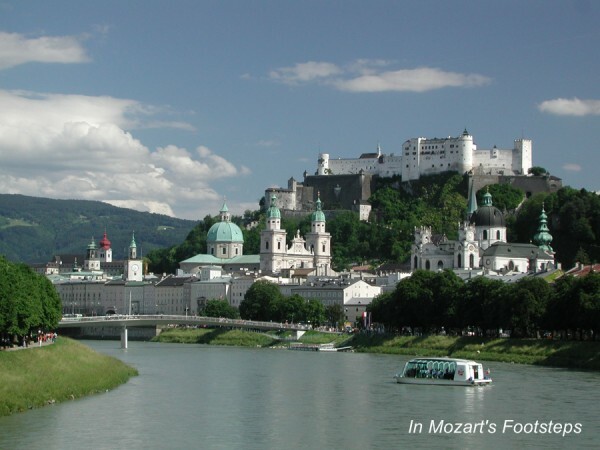 Salzburg is one of the Europe’s most picturesque cities. 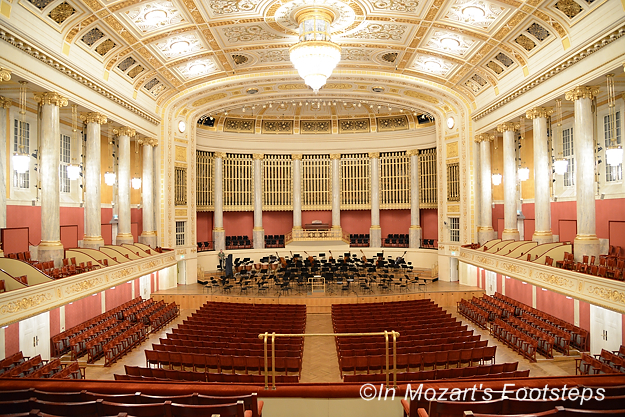 The Large Hall of Vienna’s Konzerthaus. We will hear an orchestral concert here. 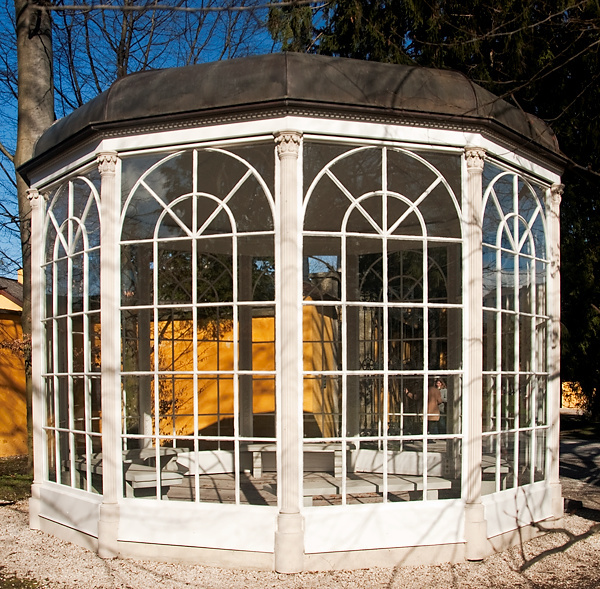 The gazebo where “Sixteen Going on Seventeen” and “I Must Have Done Something Good” were filmed is part of every “Sound of Music” Tour. 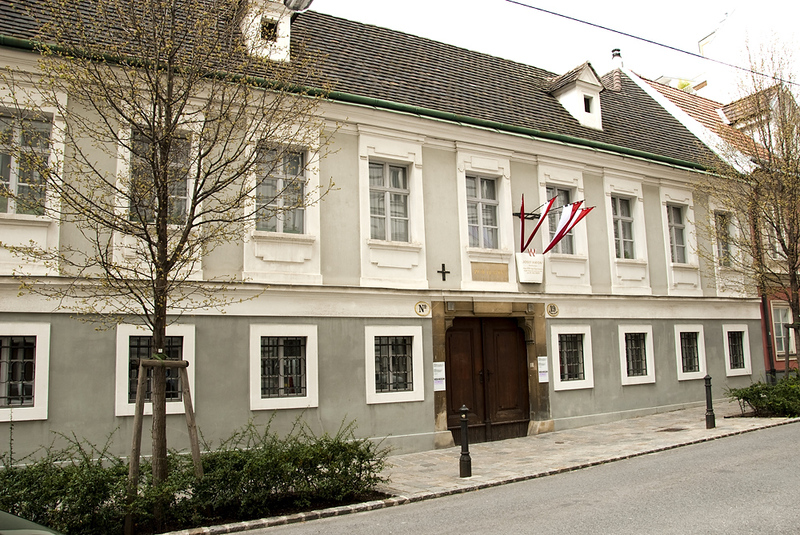 A shorter itinerary, at a lesser price, is also possible by joining us in Salzburg and Vienna only. 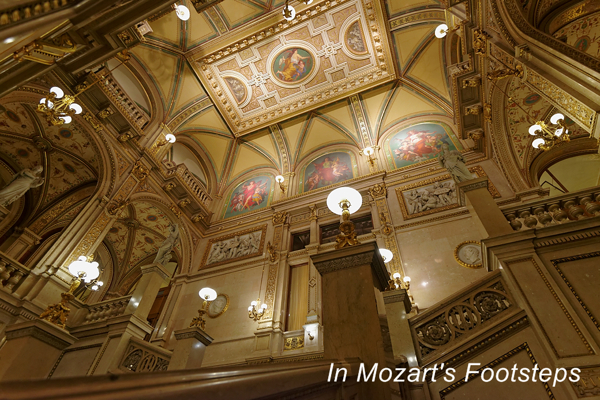 Contact In Mozart’s Footsteps for more details. 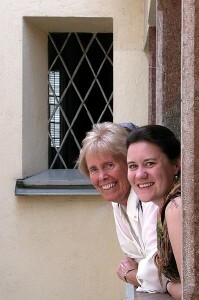 Mary Ann and Irene in the courtyard of Mozart’s Birth House in Salzburg. Walking tour of Beethoven’s Heiligenstadt, where he spent several summers and realized he was deaf. 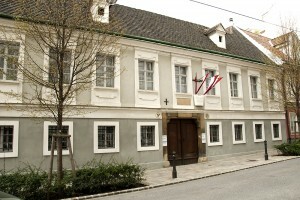 There is also a brand new Beethoven Museum which we will visit. 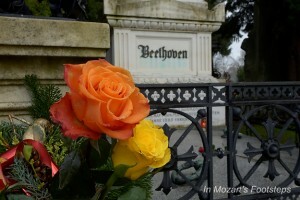 Flowers in front of Beethoven’s grave in the Central Cemetery in Vienna. We’ll visit it. 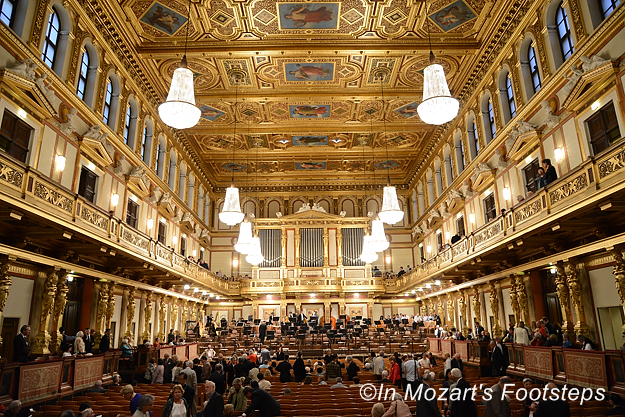 The tour is officially over, but you may wish to attend mass in the Imperial Chapel of the Hofburg to hear the Vienna Boys Choir. This begins at 9:15am and is over at approximately 10:30am. $2695 per person, double occupancy. 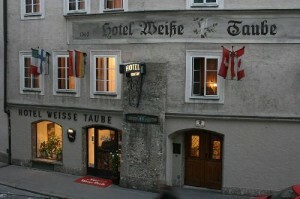 A guaranteed single room is available. The single supplement is $450.